ONE: CLASH OF LEGENDS will feature the most stacked card of strikers ever seen in The Home Of Martial Arts, but it would be a big mistake to overlook the mixed martial artists. The event in Bangkok, Thailand is also filled with talent competing under the global ruleset, where the action is just as exciting when it hits the canvas. Athletes from around the world will descend on the Impact Arena on Saturday, 16 February with the aim of claiming victory by any means necessary. Here are five heroes who have showcased their clinical submission game in the world’s largest martial arts organization. 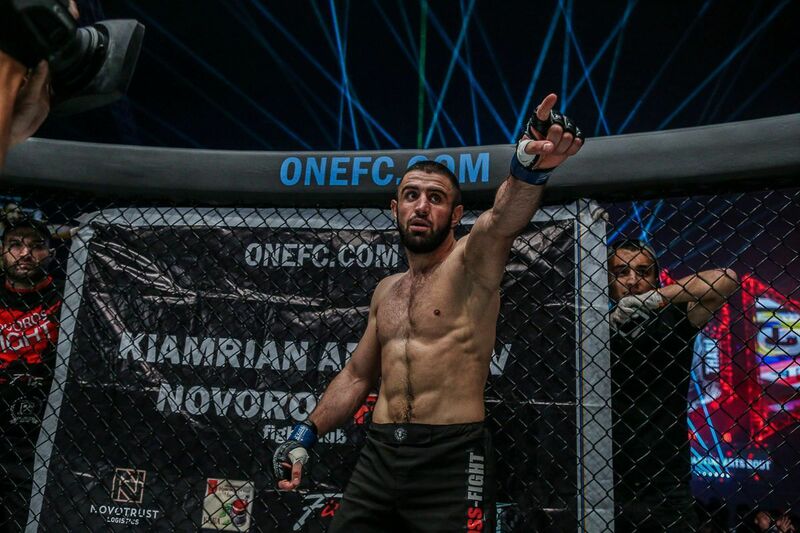 "Ottogi" answered any and all doubts with an emphatic RNC win! “Ottogi” Dae Hwan Kim and Kevin “The Silencer” Belingon were both known primarily for their striking skills, but it was the grappling exchanges that separated them when they met in 2014. In an uncharacteristic move for the Filipino, Belingon took his foe down multiple times early in the first round. “The Silencer” looked for an ill-fated bulldog choke on his opponent, and when Kim escaped, he worked from a bad position into a great one. 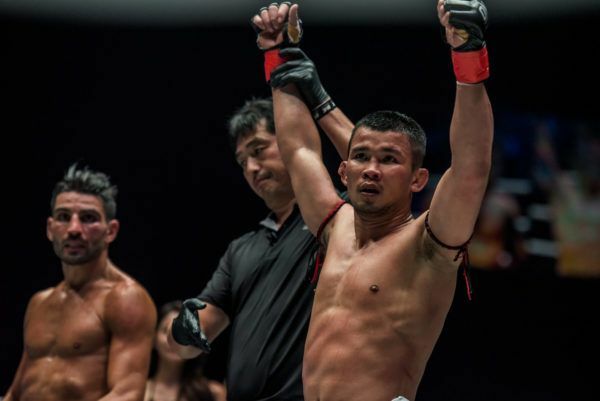 The current ONE Bantamweight World Champion’s submission attempt had exposed his back, and the South Korean took full advantage when he managed to free his head from the tight hold. “Ottogi” landed some strikes, before gaining more control by using his leg as hooks to secure his foe’s body. As soon as he established the dominant position, he slid his right arm under the neck and put on a crushing squeeze to elicit the tap from his rival. Kim will clash with Shuya “Stealth” Kamikubo in Bangkok. 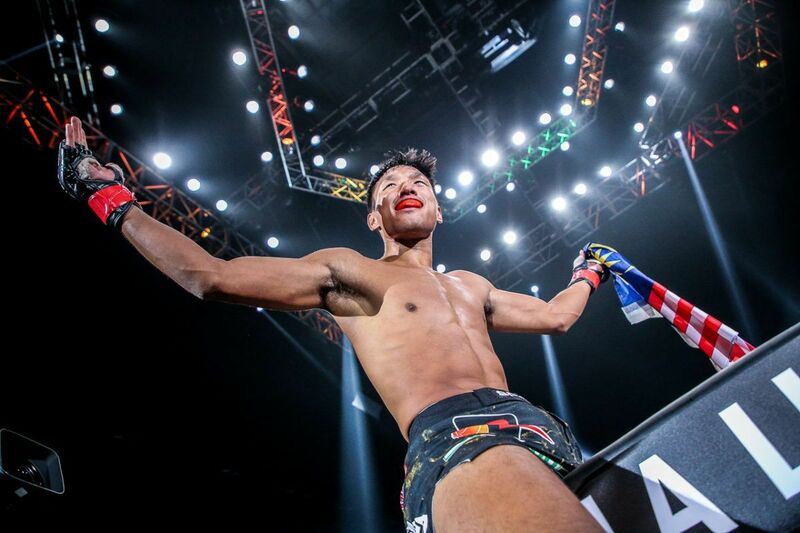 Is Jihin Malaysia's next megastar? 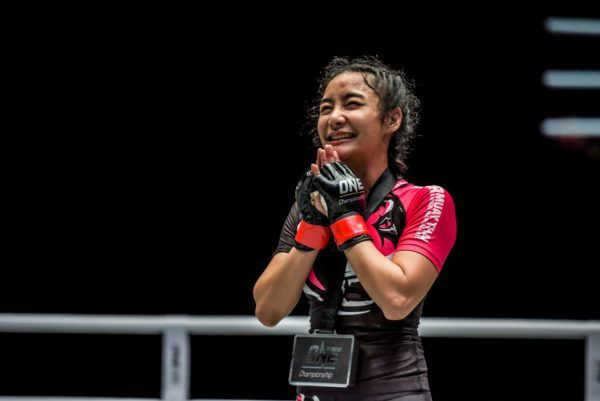 Jihin “Shadow Cat” Radzuan’s ground acumen was the main feature of the match when she took on Indian wushu specialist Puja “The Cyclone” Tomar in her promotional debut at ONE: VISIONS OF VICTORY. Radzuan constantly threatened with submissions, and early in the second round, she tried to take an armbar from side control. The Indian escaped into “Shadow Cat’s” guard, but that did not make her situation any better. The Malaysian attacked for another tight armbar, but Tomar’s grit saw her through. However, the Malaysian changed tack and stuffed her opponent’s left arm, throwing her right leg over her shoulder to look for a triangle choke. Tomar would not quit, but neither did “Shadow Cat” in her search for a finish. She tightened up her choke by pulling her right foot into the pit of her left knee, and landed strikes while she continued to squeeze, and eventually forced the submission. The rising star will meet Gina “Conviction” Iniong in an atomweight battle at ONE: CLASH OF LEGENDS. Rika “Tiny Doll” Ishige and Rome “The Rebel” Trinidad engaged in a stand-up battle in the early running of their bout at ONE: WARRIORS OF THE WORLD, but in the second stanza, Ishige’s superior grappling came into play. Trinidad did well to survive an early scare on the ground, but she rushed into the clinch after being tagged by the Thai’s left hook, and a small mistake opened up a big opportunity. The Filipina pushed Ishige to the fence, but her head was out of position across “Tiny Doll’s” body, meaning the Tiger Muay Thai representative could take her back. She instantly climbed on and took a seatbelt grip. “The Rebel” fell to the canvas under their combined weight, and Ishige landed a couple of softening blows, before slipping her right hand underneath her opponent’s chin to secure the neck. She took a palm-to-palm grip and applied the pressure to get the submission victory. “Tiny Doll” will be back in action, looking for another win in front of her home crowd at the Impact Arena against Nou Srey Pov. 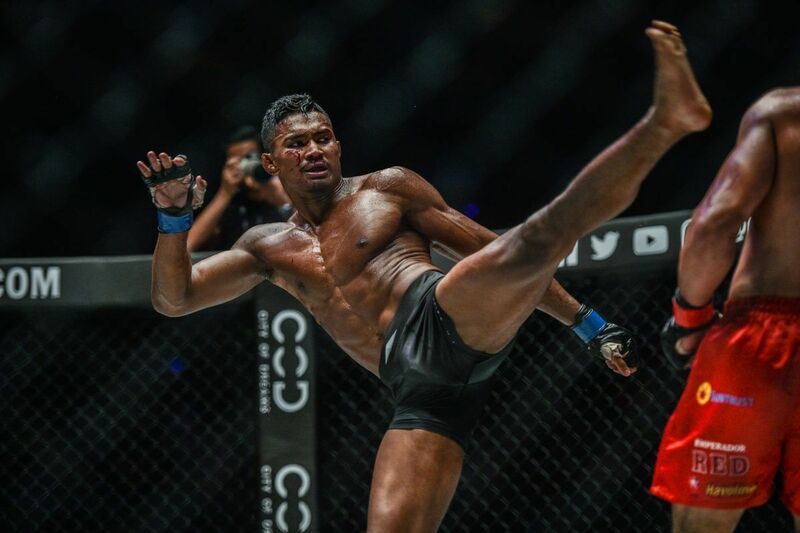 Indonesian prospect Elipitua Siregar put on a dominant performance against Dodi Mardian, scoring a sweet RNC victory at 3:59 of round 1. Indonesian wrestling champion Elipitua Siregar opened his account in The Home Of Martial Arts in impressive fashion at ONE: GRIT AND GLORY. He slammed Dodi “The Maung” Mardian to the canvas right away in their flyweight encounter, and his countryman just sank further into the quicksand as the bout wore on. Siregar stuck to his foe like glue and attacked with strikes and takedowns, negating every escape option that Mardian tried to mount. As soon as a bout-ending opportunity presented itself, he took it. 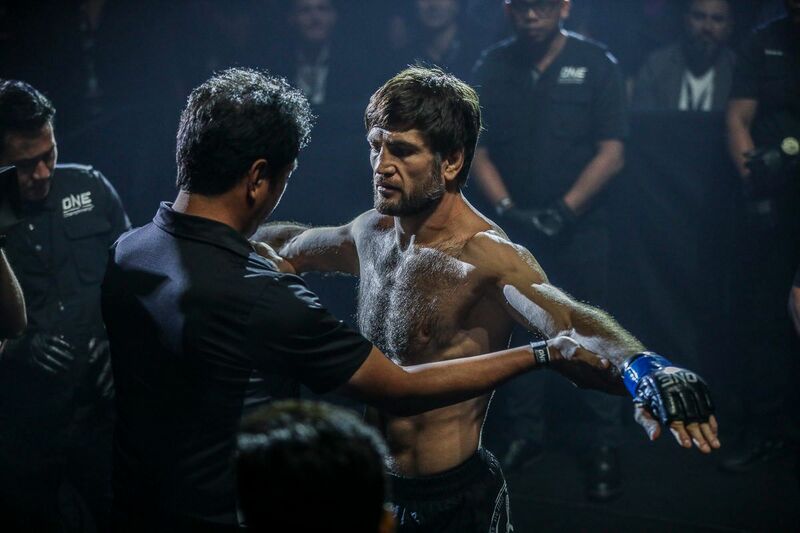 Mardian found his way up to his knees to start working back to his feet, but Siregar instantly jumped on his opponent’s back and locked in a tight rear-naked choke. His right arm was under the chin, and his left hand was fully secured behind his opponent’s head to create an inescapable hold. Mardian tried everything to get free, and battled to the bitter end, but he could not change the bout’s inevitable course. He refused to tap, but he soon went to sleep thanks to Siregar’s squeeze. 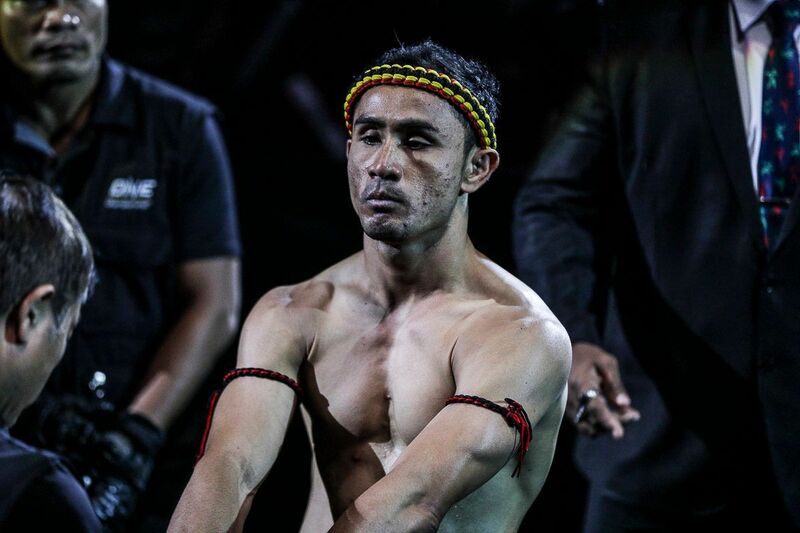 The undefeated Bali MMA representative will be back in action against Liu Peng Shuai on 16 February. What's At Stake For The Heroes At ONE: CLASH OF LEGENDS? 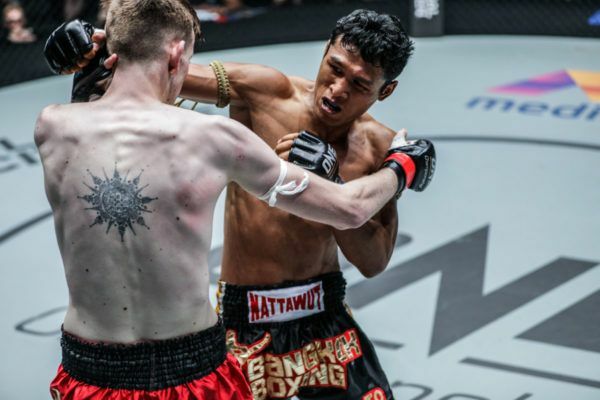 Fins out why ONE's martial arts heroes will be firing on all cylinders in Bangkok, Thailand on 16 February.